I found the recent discussions on the dinosaur tracks/fish traces in the Cretaceous limestones from the Rioja region of Spain most interesting.1,2 It is apparent that Garner et al. define the Flood/post-Flood boundary based on the vertebrate track record which they claim begins in the Devonian.3 This interpretation continues to bewilder me. Figure 1. A map showing the southeastern United States and northern Gulf of Mexico basin. The solid black lines across the northern portion of the map represent the surface boundary separating the Paleozoic strata from overlying Younger deposits (i.e. Mesozoic and Cenozoic). A cross-sectional line (shown as X to X′) extends from the Paleozoic outcrops in northern Alabama to just beyond the shelf edge off southern Louisiana, in the northern Gulf of Mexico. The cross-section presents the magnitude of sedimentation required under post-Flood conditions if the Paleozoic/Mesozoic stratigraphic contact represents the Flood/post-Flood boundary. John Reed and I believe that the majority of these sediments were deposited during the Flood. To set a Flood/post-Flood boundary within the global uniformitarian stratigraphic column requires that its application succeed everywhere. The Garner et al. thesis equating post-Silurian (or at minimum the post-Paleozoic) strata to the post-Flood world is not successful in defining the stratigraphy of the northern Gulf of Mexico Basin, and this particular locale is not the only place on Earth where this interpretation fails. The well-known Paris Basin appears to require monumental post-Flood (again according to their interpretation) erosion, transport, and deposition to explain the tremendous volume of sediments which filled this somewhat circular structure. How did this basin form and fill in such a short period of time following the Flood? Some explanation seems appropriate. The debate over dinosaur footprints or nests exposed in Cretaceous strata is not where the Garner et al. Flood/post-Flood boundary defense should start. Rather it would prove beneficial if they would interpret a basin filled with what they view as post-Flood sediments within their understanding of biblical history. However, to claim that vertebrate tracks in Devonian or later strata defend a post-Flood interpretation appears to ignore the great thicknesses of post-Silurian strata from around the world (e.g. North Sea, North Africa, Mediterranean, Indonesia, Brazil, the Middle East, the Atlantic Coastal Plain of the United States) which are better understood as having been Flood deposited. I hope that Garner et al. will eventually present their interpretation for a specific location like the northern Gulf of Mexico Basin or the Paris Basin within the constraints of their model. Until this is done, however, I remain skeptical of their proposal and suspect it will be difficult to reconcile with the biblical account of the Flood and reasonable inferences (e.g. syn-Flood meteor impacts, post-Flood Ice Age) that creationists have drawn. Garner, P.A., Garton. M., Johnston, R.H., Robinson, S.J. and Tyler, D.J., Dinosaur footprints, fish traces and the Flood, TJ 17(1):54–57, 2003. Woodmorappe, J. and Oard, M., Reply to Garner et al., Dinosaur footprints, fish traces and the Flood, TJ 17(l):57–59, 2003. Garner et al., Ref. 1, p. 56. Froede, C.R., Jr and Reed, J.K., Assessing creationist stratigraphy with evidence from the Gulf of Mexico, CRSQ 36:51–60, 1999. Garner, P., Where is the Flood/post-Flood boundary? Implications of dinosaur nests in the Mesozoic, TJ 10(1):101–106, 1996. Froede, C.R., Jr. 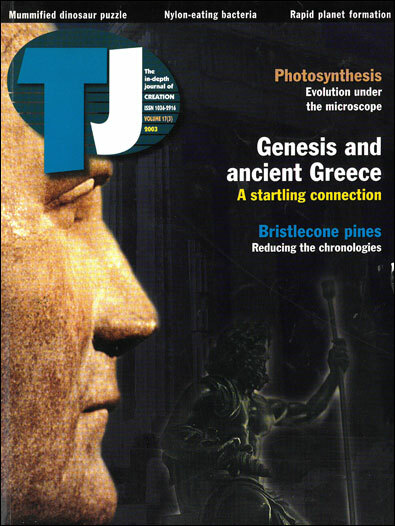 The global stratigraphic record, TJ 11(1):40–43, 1997. Froede, C.R., Jr, A proposal for a creationist geological timescale, CRSQ 32:90–94, 1995. Froede. C.R., Jr, Field Studies in Catastrophic Geology, Creation Research Society Books, St. Joseph, 1998. This is a reply both to John Woodmorappe and Michael Oard’s letter1 and to Carl Froede’s letter, above. It should be emphasized that our initial contribution was a response to Woodmorappe’s article on the interpretation of tracks, not a discussion of all the phenomena to be taken into account when considering where Noah’s Flood appears in the geological record. Comments were made about the significance of terrestrial tracks, for any Genesis-oriented interpretation of the geological record, because these constitute a crucial test of any ‘model’. This does not mean that there are not also other tests, only that if the proposed model fails to offer a reasonable explanation for the chronostratigraphic distribution of the tracks, this is a sure sign that the model is fundamentally in error. It is not even necessary to consider other tests. Woodmorappe has used the term ‘neo-Cuvierist’ to describe our position, alleging that we ‘try to squeeze the Flood into a smaller and smaller part of the geologic record just as Baron Cuvier did two centuries ago, albeit in different ways’. The logical conclusion, we are told, is that evidence for the biblical Flood will be done away with completely. He and Oard claim that we are merely ‘assuming the geological column is an absolute time sequence’ and that we ‘buy into speeded-up uniformitarian thinking’. Froede, similarly, considers that ‘the use of the global, uniformitarian, stratigraphic column is inappropriate in defining young-earth creationist stratigraphy’. It seems to us highly significant that this is how these correspondents defend their respective models, with their common insistence that virtually all macrofossils formed during the Flood. Woodmorappe, Oard and Froede all admit that their models are impossible if biostratigraphic methods of analyzing the earth’s rocks into a time sequence are valid. Because they begin with the assumption that virtually the whole fossil record formed during the Flood, they must reject those methods. We do not reject them because we do not begin with that assumption. It is regrettable that Woodmorappe and Oard are seeking to persuade nonspecialist readers to regard biostratigraphic methods with suspicion, by the threefold strategy: labelling the methods as ‘uniformitarian’; implying that biblical orthodoxy, in this context, is defined by whether one rejects them or not; and further suggesting that those who consider these methods to be sound are credulous and unwitting victims of a fallacy, which they have seen through. 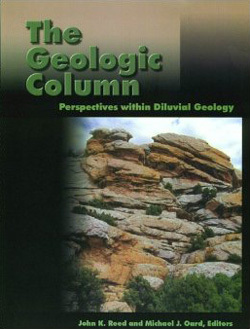 As pointed out in an earlier response to Froede and his paper on the Gulf of Mexico, this is no way to conduct discussion, and the validity of the geological column has been addressed on numerous occasions in the diluvialist literature, including by ourselves.2 In these circumstances, dialogue is extremely difficult, notwithstanding that Genesis is our common starting point. In none of our writings will there be found support for the suggestion that we are seeking to diminish the magnitude of the Flood or progressing down a slippery slope which ends by doing away with the Flood altogether. We have simply started from the biblical record and looked to see how the geological record reflects it. That approach has involved some reconsideration of the model proposed in volume 10 of this journal, but in all our writings on the subject we have emphasized the violence of the Flood event. Indeed, we consider that the mabbul or cataclysm proper—biblically, the first 40 days of the Flood—was so violent that the old landmass was totally destroyed (cf. Gen 6:13, 9:11, 2 Pet 3:6-7), so that no Creation Week rocks remain to be seen or touched.3 Conditions for the formation of rocks that might still exist today did not occur until after the 40th day. This amounts to quite different expectations of how the Flood might be reflected in the geological record, and, needless to say, it bears no resemblance to the ideas of Baron Cuvier. It is becoming apparent that the prime difficulty which Woodmorappe et al. experience with views contrary to their own has to do with the fact that, unless the end of the Flood is put near the top of the stratigraphic column, a ‘tremendous volume of sediments’ must be understood as post-Flood. This difficulty was first raised by Roy Holt.4 Tabulating the distribution of Phanerozoic sediments (including volcanics) period by period, Holt concluded that placing the boundary even at the end of the Palaeozoic would require post-Flood upheavals and erosion of staggering proportions that approach those of the Flood itself. This objection is heavily dependent, however, on (i) a poor understanding of the tectonic processes which operated during the Phanerozoic to produce, over time, the present sedimentary record, and (ii) a chronology of the earth which dates the Flood c. 4,500 years ago. For the purposes of his paper, Holt conceded that the geological column reflected the true order of strata throughout the earth. With respect to the tectonic processes, it is not sufficient to think of geological activity solely in terms of ‘erosion, transport and deposition’. Before there can be erosion, there must already be rock to erode. However, primary generation of continental crust may be seen going on throughout Earth history, from the Archaean continuously (but at a declining rate) to the present day. The geological record does not reflect a (virtually) instantaneous act of creation, followed by any interval identifiable as the pre-Flood era, followed by massive erosion and redeposition of a pre-existing land-mass.5 Much the same is true of oceanic crust. No part of today’s ocean floors dates back further than the Mesozoic; the original, created ocean crust has been totally destroyed. If the cataclysm of the first 40 days obliterated the old land-mass, the tectonism and geological activity that produced the present crust must be understood as an after-effect of the cataclysm. It then follows that the entire geological record is a record of post-cataclysm regeneration, and the fossil succession—which has proved such a stumbling block for most creationists—is a record of postcataclysm recolonization. These two basic conclusions are wholly in keeping with what we know about the geological and fossil records. The only ‘evolution’ conceded is the sort of diversification within Genesis kinds that creationists have been arguing for for many years—baraminologists, Woodmorappe6 and editors of this journal included. Is it not inconsistent to maintain that plant and animal kinds were created with an enormous potential for variation, while discounting the possibility that just such within-kind variation is what Darwinists are mistakenly interpreting as microbes-to-man evolution in the fossil record? The interpretation proposed requires that a significant amount of time be attributed to pre-Quaternary earth history. If the igneous crust of the world’s oceans had formed in a few months, the heat would have boiled the oceans dry. The diversification within Genesis kinds which we see in the fossil record (for example, within kinds of bivalves, brachiopods, trilobites, ammonites, foraminifera) must similarly have taken time. And if the cataclysm ended in the Precambrian, the same is implied—to come to Froede’s specific point—by ‘the tremendous volume of sediments’ contained in the Gulf of Mexico Basin and other sedimentary basins. Larger basins occur in the Proterozoic, 7 the bulk of which many creationists would date before the Flood. Those creationists, from the standpoint of Woodmorappe et al., face a similar problem. 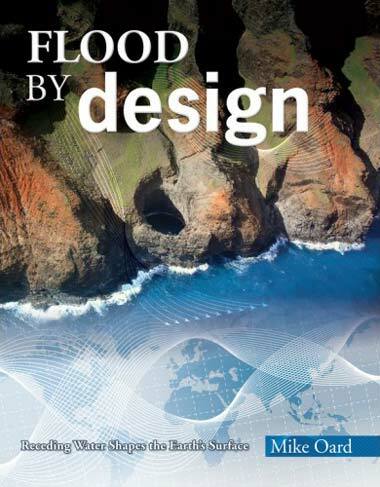 Tremendous volumes of post-Flood sediments are problematic only if such high sedimentation rates are presupposed that it seems more reasonable to attribute them to the Flood itself. Obviously, the actual rates will depend on the amount of time between the Flood and the end of significant sedimentation, and thus on the date of the Flood. Tremendous volumes of sediments cease to be problematic if the date of the Flood was in fact significantly earlier than 2500 BC. As I have argued elsewhere, the genealogy in Genesis 11 is not tantamount to an absolute chronology.8 Were there no geological or archaeological evidence to bear on the question, the genealogy might be complete and thus provide the basis for an absolute chronology, but it cannot, exegetically, be assumed to be complete. Whether it is or not is therefore a question on which the geological and archaeological evidence has something to say. Outside creationist circles this is not a contentious point and, in The Genesis Flood, Whitcomb and Morris took the same line. Moreover, it needs to be recognized that the exegetical argument is distinct from the scientific one, and a position which allows for a longer interval between the Flood and the historical period is fully as biblical as one which does not. There is no question of committing any kind of creationist heresy. Froede does not address the issues raised in our letter; indeed, he implies that the chronostratigraphic distribution of terrestrial tracks is scarcely relevant at all. Woodmorappe and Oard addressed some of the issues, and readers must judge for themselves whether they did so fairly. We note that in their view most Flood sedimentation would have taken place during the first 150 days of the Flood, after which, in the ‘Recessive Stage’, erosion would have removed much of what was deposited. There is, however, nothing corresponding to this scenario in the actual geological record, and as we pointed out in relation to terrestrial tracks, neither is there anything corresponding to it in the actual palaeontological record. Terrestrial tracks do not occur until the Devonian, i.e. not until the final tenth of the geological record (measured radiometrically), after which terrestrial tracks occur continuously to the very end. In our judgment, the ‘main Flood model’ is not consistent with this key evidence. It cannot account for the total absence of terrestrial tracks in pre-Devonian rocks, since it ascribes these rocks (notwithstanding equivocation about ‘the uniformitarian stratigraphic column’) to the early part of the Flood. It cannot point to any hiatus corresponding to the period between the end of the Flood and the time when worldwide tracks of animals descended from those in the Ark began to be preserved. And it cannot explain why, having survived the Flood thus far, the track-makers did not survive right through to the end. So far as the actual evidence is concerned, if Cenozoic rocks are Flood rocks, they clearly did. In their efforts to maintain the credibility of Genesis. Woodmorappe et al. seem intent on making a virtue of incredibility. Of all possible positions, that which dates the Flood to c. 2500 BC is the most extreme. It is totally irreconcilable with historical and archaeological data (an Old Kingdom pharaoh, preceded by a long history of cultural and political development, was on the throne of Egypt in 2500 BC) and totally irreconcilable with the geological data, of which the track evidence is one instance. A scenario which has hosts of dinosaurs, reptiles, and mammals during the Flood swimming around, making tracks, laying eggs, and digging burrows, above kilometres of volcanics, carbonates and elastics deposited earlier in the Flood while they were somewhere else, would be difficult to believe in, whatever arguments were advanced in its favour. Our point, however, is that it is not only unnecessary but geologically and scripturally untenable. Woodmorappe, J. and Oard, M., Reply to: Dinosaur footprints, fish traces and the Flood, TJ 17(1):57–59, 2003. Tyler, D.J. and Garner, P., The uniformitarian column and flood geology: a reply to Froede and Reed, CRSQ 37:60–61, 2000. Robinson, S.J., The then world with water having been deluged perished, Origins 29:15–24, 2000. Holt, R.D., Evidence for a late Cainozoic Flood/post-Flood boundary, TJ 10(1):128–167, 1996. De Smet, J., van den Berg, A.P. and Vlaar, N.J., Early formation and long-term stability of continents resulting from decompression melting in a convecting mantle, Tectonophysics 322:19–33, 2000. Woodmorappe. J., Noah’s Ark: A Feasibility Study, Institute for Creation Research, El Cajon, pp. 5–7, 1996. Snelling, A.A., Creationist geology: where do the ‘Precambrian’ strata fit? TJ 5(2):154–175, 1991. Robinson, S.J., Genealogy is not chronology, Origins 26:15–21, 1999. Answers in Genesis believes that the genealogies as presented in Genesis are divinely inspired in their original autographs and are meant to be read as straight chronologies with no gaps.1 Consistent with our understanding in other areas of creationist research, we do not accept reinterpreting the plain, and internally well-supported, reading of the Bible based on man’s fallible thinking. We believe that the cause of the conflict between geology, the Egyptian chronologies and the biblical chronologies, will not be found by errors in the latter. We encourage all to continue research in these areas to resolve these issues. Sarfati, J., Biblical chronogenealogies, TJ 17(3):14–18, 2003.